Suddenly the line tightens. The blue marlin is there. Get ready to duel. Sensation and adrenaline are there. 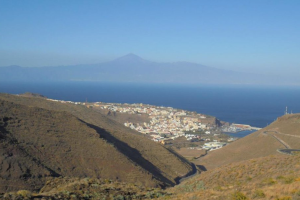 What are you waiting for to charter your fishing boat in La Gomera (Canary Islands)? 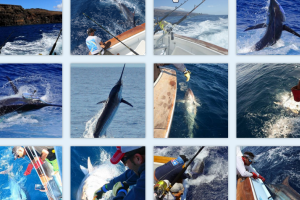 Embark in San Sebastián de la Gomera for an unforgettable experience aboard of the “Nell Magic” boat charter designed for the big game fishing. 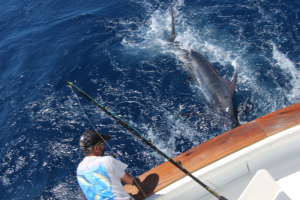 The captain Louis, owner of the boat charter, will make you share his long experience in big game fishing, particular for the blue marlin. 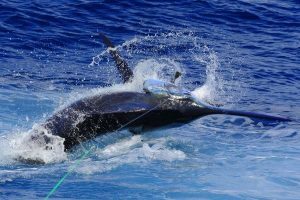 An ideal spot for the big game fishing in Canary Islands, a suitable depth for the blue marlin or tuna fishing on a boat charter. 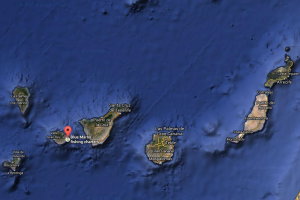 Locate the marina of San Sebastián where is the boat charter that will take you for the fishing blue marlin adventure near La Gomera Island (Canary Islands). 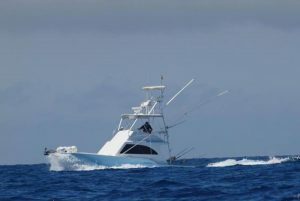 Looking for a boat charter not too expensive for a day or a sea fishing half day? Check our very affordable rates. Do not hesitate to contact the captain for more information about boat charter.